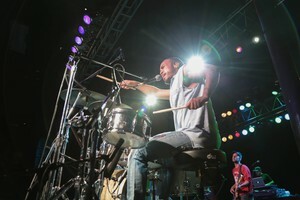 The Soul’d Out Music Festival took the Rose City by storm with brilliant performances from a variety of soul, jazz and hip-hop performers, including Solange, Travis Scott, Cory Henry, Bilal, Big Freedia Queen Diva and more. With the festival now in the books, relive your favorite shows through our coverage. 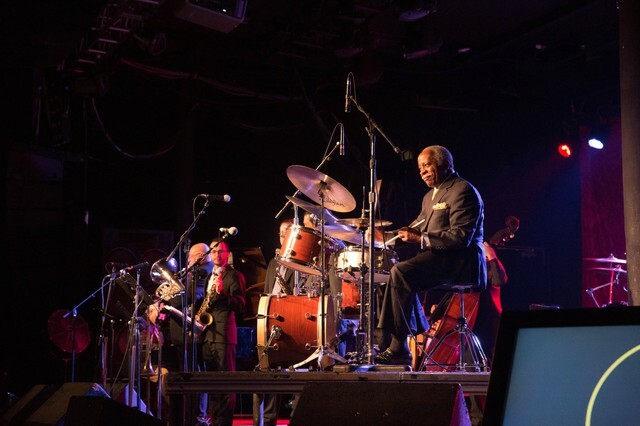 Musicians gathered to pay tribute to a lost legend of the Portland soul and jazz scene, Jimmy Mak, during the “Honoring Jimmy Mak — A Musical Inspiration” show at the Roseland Theater, Sunday, April 23, 2017. Spawnbreezie performed for a packed Star Theatre to round of the 2017 Soul’d Out Music Festival Sunday, April 23, 2017. The legendary hip-hop duo Dead Prez, made up of artists stic.man and M-1, are known for their conscious take on hip-hop music. The performed at Dante’s in Portland Saturday, April 22, 2017, as part of the Soul’d Out Music Festival. 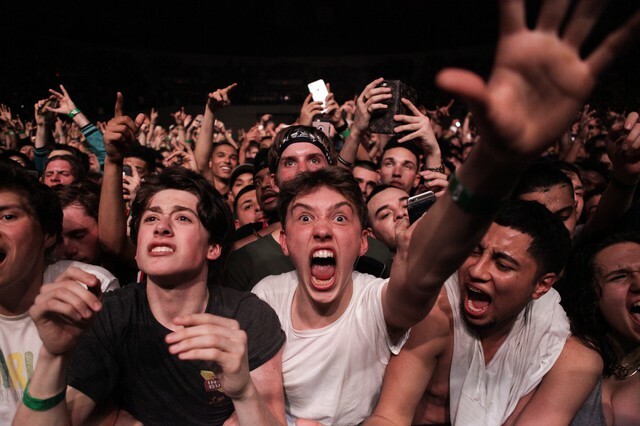 One thing was made clear Saturday night: It’s still bigger than hip-hop. Dead Prez put a black fist on top of a multi-layered cake of calculated consciousness when they headlined a hip-hop heavy night of the Soul’d Out Music Festival. The set was filled with a bold declaration of black pride, political analyzations on the state of the world, and a message that the fight for freedom is still ahead. Throughout the night, Dead Prez did three things: they taught, they rhymed and they rocked the house. By the time their classic ‘Hip-Hop,’ dropped, all in attendance were fully entranced in their seasoned stage show. The Soul’d Out Music Festival ends Sunday night with a tribute to Jimmy Mak’s. Legendary soul band The Ohio Players put on an energetic and soulful Soul’d Out show at The Roseland Theater Saturday, April 22, 2017. Fans of The Ohio Players have definitely grown up with the band, but the fact that most of their audience members are over the age of 50 doesn’t make the legendary funk group’s performances any less lively. 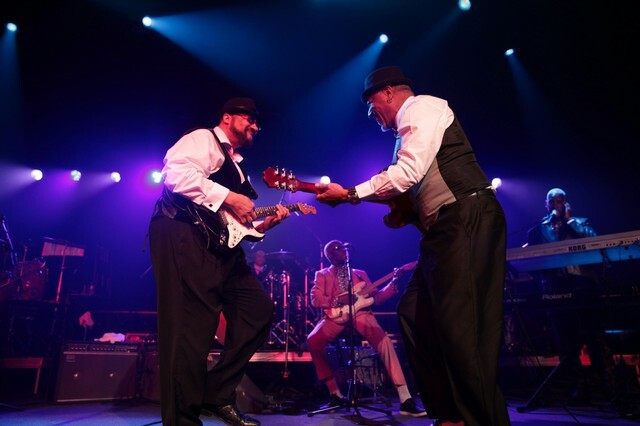 The Players put on an energetic and well-received Soul’d Out show at The Roseland Theater on Saturday night. The band, formed in Ohio in 1959, came out of the gate swinging, starting their set off with the ever-funky hit, “Love Rollercoaster,” and although the show was sold out, the crowd had no problem finding space to get down. 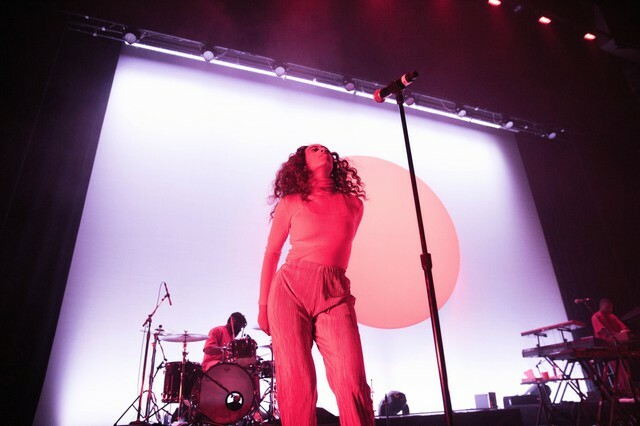 Gratitude was the feeling in the air as Solange Knowles brought her meticulously crafted live performance to Portland for Soul’d Out. Not that she needed to prove it, but Solange Knowles in no way stands in her sister, Beyonce’s, shadow. 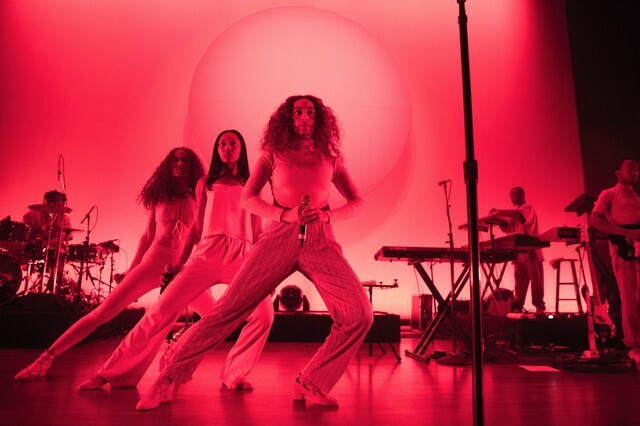 Solange brought eclectic dance moves and a powerful performance to a sold out crowd at the Arlene Schnitzer Concert Hall on Friday night. A layered wonderland of soul and R&B, peppered with horns, funky bass and Solange’s delicate voice, the night’s set was filled with tracks off her newest, critically-acclaimed album “A Seat at the Table,” as well as older material from her EP “True” and previous albums. Solange’s live performance gave our feelings behind “A Seat At The Table” direction, somewhere to escape the traps of our bodies and minds. Big Freedia played a packed Dante’s for the 2017 Soul’d Out Music Festival in Portland. 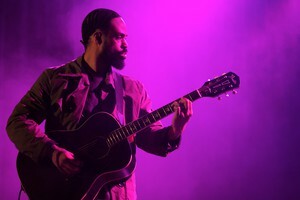 Bilal, a jazz and soul master, belted out heartfelt tune after heartfelt tune Thursday night at Revolution Hall. Shy Girls woos the crowd at Revolution Hall for the 2017 Soul’d Out Music Festival. Lupe Fiasco put on an electric show at Roseland Theater for the 2017 Soul’d Out Music Festival. Lupe Fiasco’s career didn’t end up where many thought it would — and he seems to know it. The now-dreadlocked Lupe is a long way from the “peach-fuzz-buzz” wunderkind on Kanye West’s “Touch The Sky” in 2005. “Can you believe that I’ve been doing this for 15 years?” he mused in a freestyle at Roseland Theater on Thursday. He went on about how he felt the radio buried him, and how he sometimes felt boxed in as one of the conscious, meticulous lyricists of the genre. That thread of personal reflection took the audience on a journey through Lupe’s career — almost like he were performing a one-man musical rather than a concert. Thousands of screaming fans moshed and danced through the night to the hypnotic sounds of trap superstar Travis Scott to kick off the 2017 Soul’d Out Music Festival Wednesday, April 19, 2017. 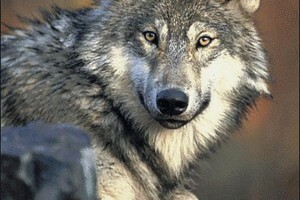 Scott’s appearance coincided with his nationwide Bird’s Eye View Tour. Travis Scott rocked the crowd at the Veterans Memorial Coliseum with his hypnotic trap music sounds and high-energy performance on the first night of the 2017 Soul’d Out Music Festival. 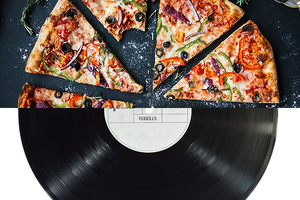 Cory Henry and the Funk Apostles’ mix of funk, gospel, R&B and sometimes dubstep is an emotional thrill ride — like a chopped up (not slopped up) version of Prince’s “1999” sandwiched between groovy dance tracks type of thrill ride. Their two-hour set at Wonder Ballroom left you wanting to apologize to wronged lovers and confess your sins to God, all the while tapping your feet. “I want you to know how I feel,” Henry crooned in one love song’s refrain. 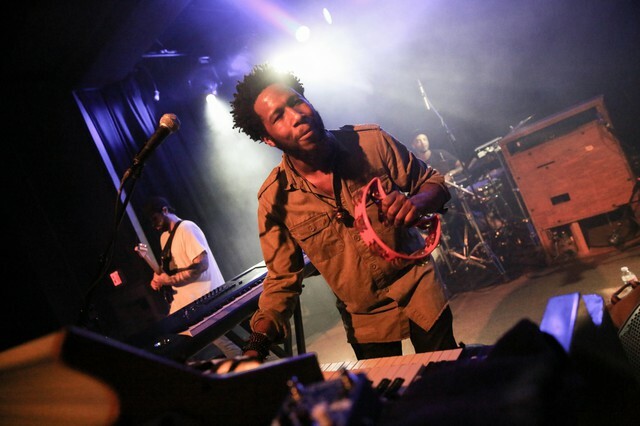 Cory Henry and the Funk Apostles brought the vibes to Wonder Ballroom in Portland for the first night of the 2017 Soul’d Out Music Festival. A night full of positive vibes! Opener Lee Fields showed the crowd what the epitome of North Carolina smooth looks like and literally left the stage singing ‘I Love You.’ Headliner and legend Toots and the Maytals then delivered a reggae- and soul-inspired set that had the Roseland Theater crowd swaying and grooving well into Thursday morning. 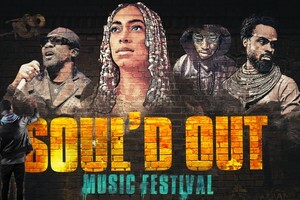 The Soul’d Out Music Festival will see an injection of trap music this year, with Travis Scott headlining the first day of the festival Wednesday night at Veterans Memorial Coliseum. So it seemed fitting that Gucci Mane, one of trap’s forefathers, kicked off a monumental week for the Portland music scene before handing it off to Scott, one of trap’s favorite sons. Related: Gucci Mane performs at NPR’s Tiny Desk. Gucci was not an official part of the Soul’d Out lineup, but to call his show an appetizer would ignore the fact a performance by the self-proclaimed (and widely recognized) “Trap God” amounts to a full meal on its own. Fans filed out of a packed Crystal Ballroom after Gucci’s set Tuesday night sweating. 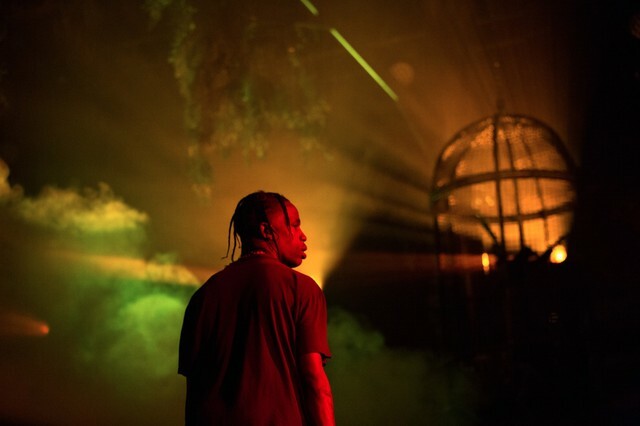 They were greeted outside the venue doors by a man handing out fliers for, who else, Travis Scott. 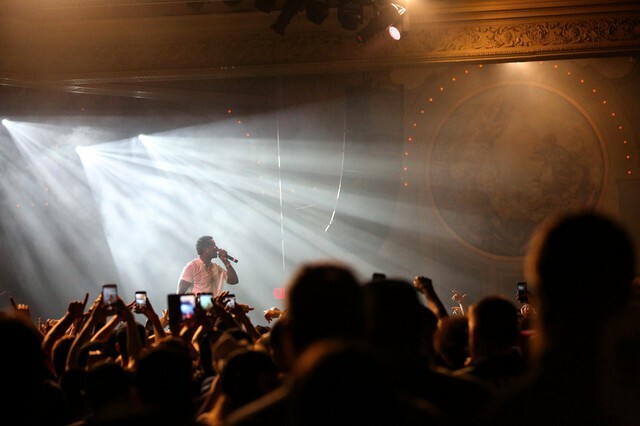 Gucci Mane performed at the Crystal Ballroom in Portland, Tuesday, April 18, 2017. Not sure what to see next? 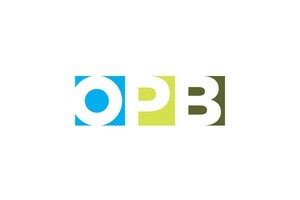 Check out KMHD’s list of five Soul’d Out performances you won’t want to miss.